Back in 1986, when I was 13 years old and growing up in England, I suddenly became fascinated by American football. A chance acquisition of some football cards piqued my interest, and then another chance encounter with some televised highlights one Sunday afternoon sucked me in. 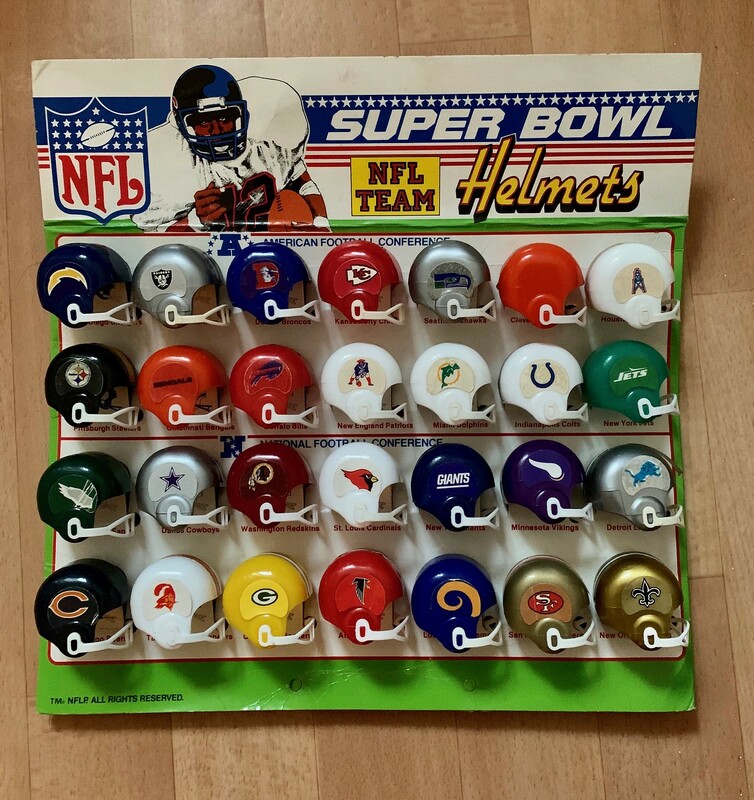 That same year came the gumball helmets — little NFL helmets packaged in a bag with two bubblegum balls. They were the craze of my school for a short while. Swapping the helmets, rushing to buy a pack after school — even the kids who weren’t that interested in the sport were collecting them. We sent off for a cardboard display stand to mount the helmets on. Then they stopped, sometime in 1987. Most of us had finished our sets, the season was over, and things went quiet for a bit. 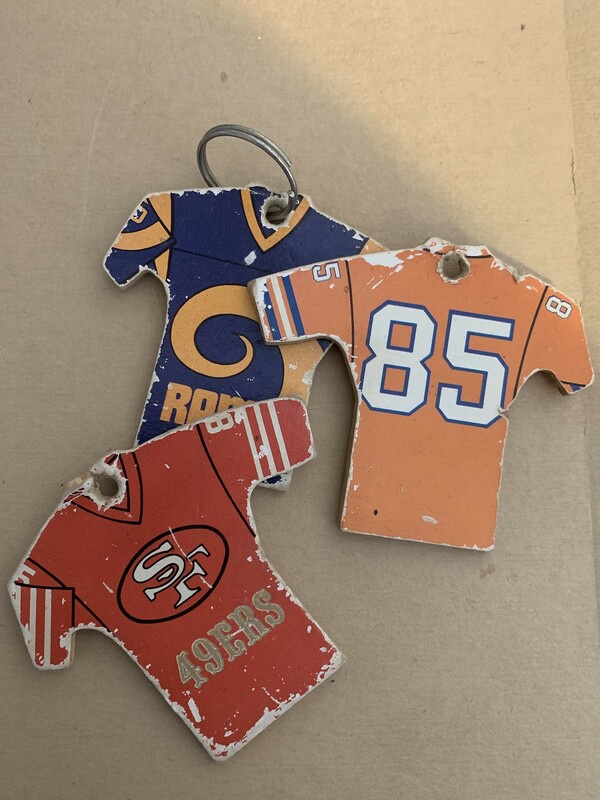 For the 1987 season, the same company that had made the gumball helmets came out with key rings, each one featuring a little wooden NFL team jersey. 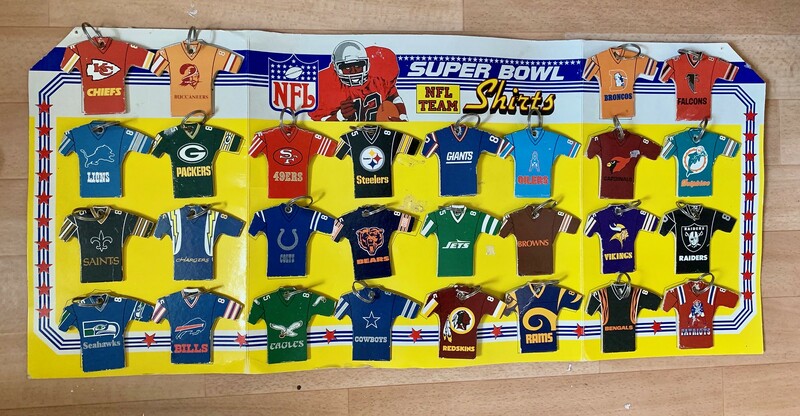 The craze was back — 28 teams to collect again. Fewer shops seemed to have the key rings, and the production run seemed to be shorter, but we enjoyed the hunt and had fun attaching our doubles to pockets, belts, and bags, and jackets. I managed to collect the full set again and sent off for the corresponding display board so I could showcase them. But my payment was returned a few weeks later, accompanied by an apologetic letter informing me that I’d missed the cutoff date for the display boards and that they didn’t have any more to send out. It was disappointing, but I kept my key ring collection. Over the subsequent 32 years, I occasionally used some of the key rings to hold actual keys, but mostly I kept them stowed away, waiting for the day when I might finally find one of the display boards. My patience was rewarded earlier this year, when one of them turned up in an auction, and I snapped it up. It came with a full set of key rings, some of which were in better shape than a few of my old ones, so I mixed and matched the old and the new to come up with the best-looking set. 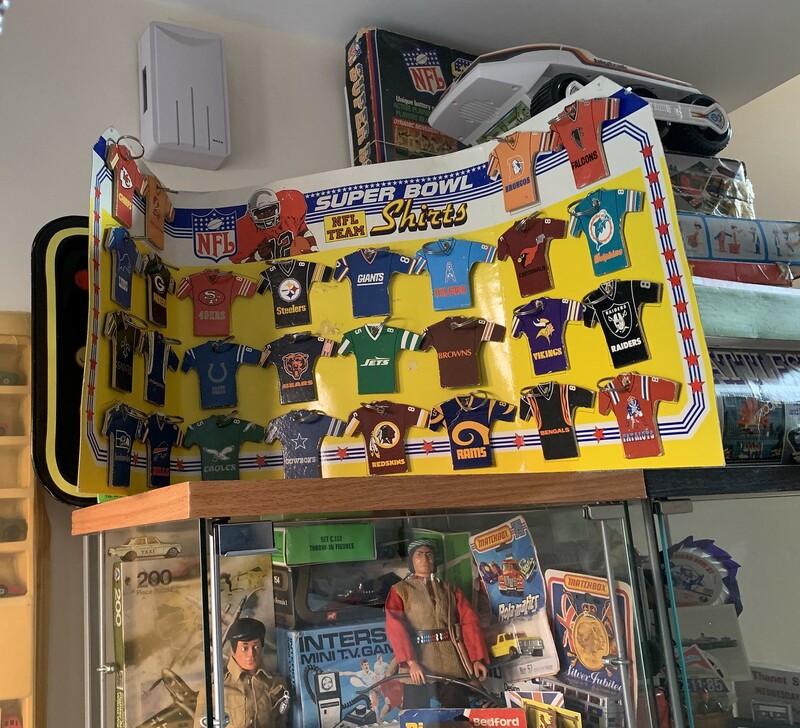 I am not ashamed to say it was an emotional moment seeing all of them together on the display board, which I now keep atop a cabinet along with many other prized items from my childhood — including the gumball helmet display, which I still have as well.